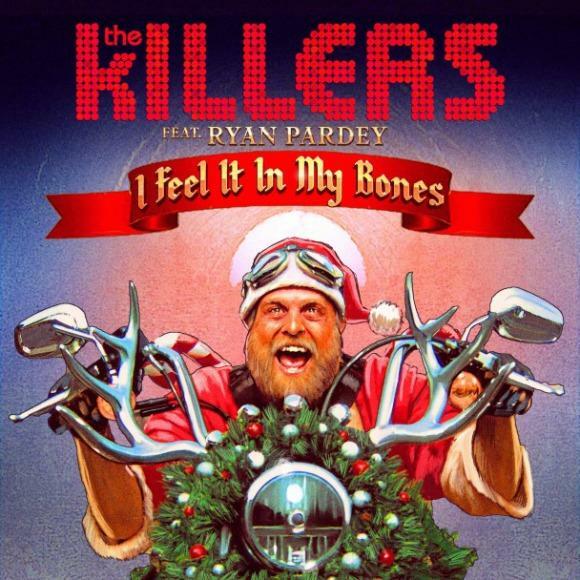 Yesterday, in honor of World AIDS Day, The Killers and Ryan Pardey previewed their latest Christmas ballad, "I Feel It In My Bones" on Rolling Stone. All sales from the song, which will be released via iTunes on December 4th, will benefit (RED). Is it just me or has Christmas music gotten a lot less Christmas-y? The song sounds more suitable for an 80s karate movie montage - little Johnny is pumping up to prepare for his battle against Cobra Kai's top dog Kris Kringle. But what the hell, it's for charity. You can preview the song at Rolling Stone.